Cancer is a disorder of the DNA. The body has numerous defenses against cancer. A successful tumor must evade them all to become life threatening. Cancers are staged according to this success. Many cancers are curable if caught early. The Quantitative Medicine Lifestyle protocols can prevent cancer. This is the 3rd in a 3 part series, discussing cancer prevention. The first in the series was Cancer Basics–Part 1–Initiation and Progression. 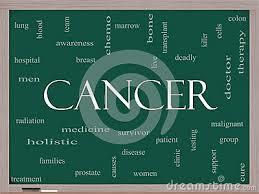 Second was Cancer Basics-Part 2 Diagnosis and Prognosis. Cancers that have become large tumors, cannot be rolled back with a prevention strategy. However, hundreds of thousands, even millions of potential cancers are trying to start at any given minute. These are the damaged cells in the body that are heading in tumor forming directions. This may sound like a lot, and it is, but compared to the 100 trillion cells in a human body, it is a tiny percent. Still any of these microscopic cancers could proliferate and become lethal. There are two opposing factors at work here. A poorly managed lifestyle will cause cellular stress and greatly promote the cellular damage that leads to cancer. The immune system is fighting all this. It will have trouble if there is an overwhelming amount of damaged cells, and it will have a difficult time if it is weakened for other reasons. A sensible lifestyle and healthy immune system will prevent cancer in most people. Diet, exercise, meditation, and sleep all have significant affects on cancer. Optimizing these using the Quantitative Medicine protocols affords the strongest cancer prevention possible. Of course, sensible avoidance of known carcinogens is likewise important. We suppose health conscious people will do this as far as practicable. Meditation. High cortisol increases insulin and down- regulates the immune system. This is practically a formula for cancer. Cortisol is a response to stress, which can be reduced through meditation or spiritual discipline. Diet. The biggest dietary risk element is elevated insulin, which directly encourages several cancers. High insulin goes hand in hand with elevated glucose. Exercise. Exercise fights cancer in a variety of ways. HDL is elevated, which improves cellular health. Exercise improves mitochondrial health, which further reduces cellular stress and radically up-regulates the reparative anti-cancer effects mitochondria empower. Sleep. A lot of bodily repair occurs during sleep; this is especially true of brain repair. People whose work inherently disrupts sleep patterns have a significantly higher incidence of cancer. Ten minutes a day of some sort of spiritual discipline such as meditation appears to work wonders, and the wonders that are worked are primarily stress reduction which decreases cellular damage and enhances cellular repair. High stress causes high cortisol. Cortisol is one the stress hormones; a very important one. It sets in motion a variety of alterations to basic bodily functions which compromise long-term health in return for a short-term improvement in survival likelihood. This makes sense if you are a hunter-gatherer or in a combat situation, but is otherwise a bit out of date. A short burst of stress and consequent cortisol elevation aren’t particularly harmful, provided things return to normal. Cortisol, when high, triggers several changes. In particular, much of the immune system is disabled, insulin is raised, along with blood glucose. Each one of these is carcinogenic. Hence, if high cortisol becomes chronic, it’s a formula for cancer. In addition, there is an increased propensity to disease due to the weakened immune system, along with increased fat storage and fat weight gain from the raised insulin. Chronic stress causes chronically high cortisol. This stress may be external – a difficult partner or working relationship, or internal, a chronic infection or overloaded metabolism. 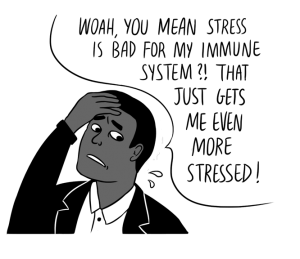 Reducing average cortisol to a safe level, say under 12 µg/dl, is very important. Unfortunately, there is no convenient way to measure average cortisol, so morning fasting levels are used. Cortisol is a fast acting hormone, and any stressor prior to a blood draw, an argument over billing for instance, could run it up. So unless you are in a relaxed state, the measurement should be taken with a grain of salt, or ideally, taken again. Cortisol is so variable that the more data points over time the more revealing the information can be. Inflammation is caused by cells in distress. The inflammation is an immune system response. If the immune system cannot solve the problem and the cellular stress continues, various sorts of cellular damage will occur. Many things can cause cellular stress, but stress due to nutrient overload, or a lack of essential micronutrients would indicate a dietary change. Likewise, inactivity causes mitochondria to shut down, and increases the presence of reactive oxygen species, which helps keep the shut-down process orderly, but can also cause damage. 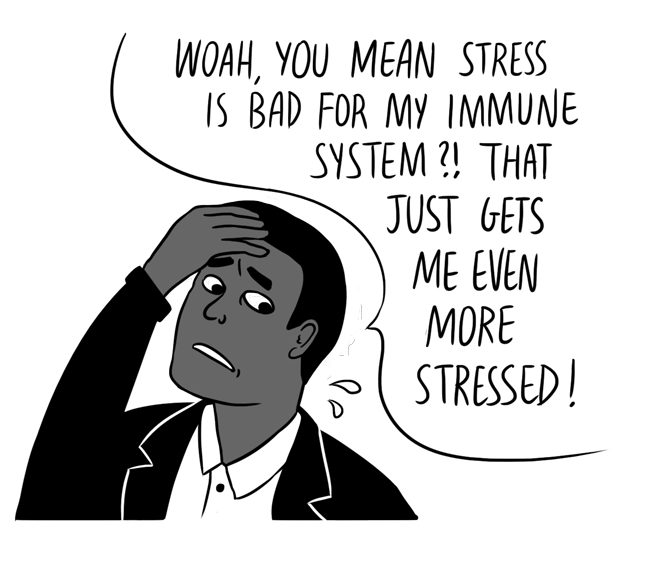 High cortisol and high insulin are also causes of cellular stress. Insulin in particular seems suspect. Why do we know this? A very misguided approach to Adult Onset Diabetes is administration of additional insulin. This has little effect on the central problem, but increases the rate of cancer by 50%, a huge effect. In fact, Adult Onset Diabetics, all of whom have chronically high insulin (an inherent aspect of the disease), have a much higher cancer rate even without the extra insulin. The growth hormones, such as testosterone and IGF-1, have ideal levels. Too high (from supplementation perhaps) or too low (from a sedentary life style) can be cancer promoting. However, at the level set by an active body, they are cancer protective. According to one study, people that raised their HDL cholesterol level 10 mg/dl experienced a huge 36% reduction in cancer, a very impressive result. This raise was brought about by exercise. There are some drugs, niacin in particular, that also raise HDL, but raising HDL this way increases mortality, an unexpected and very undesirable result. So it seems it has to be exercise. Was it the increase in HDL that actually reduced cancer, or was it some other benefit associated with exercise? In a way, the answer is moot. We want that 36% no matter what. Truth is, we really don’t know the answer. Things are too entangled. HDL is very directly implicated in reduction of heart disease. That same exercising reduces heart risk 50%, an even better number, but in this case, we know what is going on. We know the HDL is directly cleaning the arteries. In the artery wall, HDL performs its magic by draining excess oxidized fat from immune system cells, decreasing inflammation, and extending cell life. It turns out that HDL is willing to perform these good deeds for just about any cell. Unloading excess oxidized fat and reducing inflammation are anti-cancer activities, though extending cell life wouldn’t necessarily be. Concurrently, exercise increases mitochondrial health, which is anti-cancer. So exactly who contributes what will likely remain a bit blurred. The right exercise is strongly anti-cancer. The right sorts are explosive and concentric. These increase mitochondrial health, reduce cortisol, increase HDL, and increase growth factors. Exercise of a continuous nature, such as jogging, will have much less effect, and if carried to extremes, such as a marathon, can actually be detrimental. Anything that improves cellular health decreases cancer risk. Improvement in all four lifestyle choices – diet, exercise, spiritual discipline, sleep – improve cellular health. Specifically exercise helps by increasing metabolic throughput. Idle cells are not healthy cells. Macronutrients, like glucose, will accumulate, and underutilized mitochondria will loose reactive oxygen species (free-radicals) into the cell, which will react with the accumulation of these macronutrients. Exercise will increase growth factors such as testosterone (both girls and boys) and IGF-1, which in turn cause cellular repair and turnover. As mentioned above, there is an optimum level set by the body for these powerful hormones. At their optimum levels they are cancer preventive. If artificially elevated (from supplementation) they may cause cancer. Body builders supplement with all sorts of things, testosterone, insulin, IGF-1, cortisol, to name a few. For the most part, the body regulates hormones to the healthiest (for you) level. Any attempt to artificially change this will cause problems. Specifically, since cancer is out of control growth, it should be fairly clear that taking a ‘growth’ hormone is only going to make things worse. Several dietary attributes can contribute to cancer. First and foremost, high levels of circulating insulin significantly increase cancer risk. A close second would be presence of excess oxidized fat and glucose in a cell. A 2007 Swedish study found strong associations between high fasting glucose and cancer. Overall, the highest quartile had 25% more cancer than the lowest for women and 8% for men. This is significant, but what particularly stands out is that some cancers were strongly affected and others very little. For instance ovarian cancer and breast cancer in women under 50 more than doubled in high glucose conditions. Kidney and pancreatic cancer doubled as well. Melanoma and bladder cancer were up 70%. Several other cancers were unaffected by sugar levels. Prostate cancer was actually slightly lower. Oddly, the study did not measure insulin, which may have been the principal cause of the cancers. An Austrian study found a four-fold increase in liver cancer in people with high glucose levels. High insulin is clearly implicated in increased cancer risk. However, insulin and glucose move together, so whatever may be said of one, often, though not always, applies to the other. Sometimes you will see vegan diets promoted as anti-cancer, with the implication that meat somehow caused the cancer. This is exactly 180º out of phase with the truth. Anyone dealing with cancer would best try to get their various blood markers into healthy zones as rapidly as possible, and a vegan diet isn’t going to accomplish that at all. Colored fruit and vegetables have a variety of chemicals that protect them against various predators – bacteria, fungi, bugs and so on. These are collectively called phytochemicals. There is no particular reason to suppose these assorted chemicals would be good for us, especially considering that the plants cooked them up specifically to be toxic for whatever it considered to be a threat. However, these phytochemicals have, or may have, cancer-fighting properties. This would be good news were it true, and it may well be, but most studies haven’t really found anything strong. In any case, the colorful vegetables are by far the most healthy plant based food you can eat. The only thing wrong with the fruits is their sugar content. If you have sugar issues, these should be avoided, if not, enjoy them too. The berries are especially healthy. Shift workers such as nurses, and people with irregular schedules, such as airline employees, appear to have a 50% higher rate of cancer. There seems to be no general awareness of this, but it should be an area of significant concern. The principal cause may be the disruption of the melatonin cycle. Melatonin is a hormone that is triggered by darkness and mediates sleep timing. However, its effect is far broader than that, and it is thought to have anti-cancer properties in of itself. Shift work is known to disrupt or even eliminate the melatonin cycle. The general principles of Quantitative Medicine afford the strongest possible resistance to cancer. Likewise, recovery is also significantly enhanced. If cellular stress is kept to a minimum, repair mechanisms enhanced, and immune system surveillance boosted, most cancers will be contained and eliminated before they become dangerous. Minimize environmental and personal stress. Give up smoking, avoid pollution. Try to eat organic, especially berries and root vegetables. Get some sun, but avoid getting sunburned. Modify diet to bring insulin down. This essentially means cutting glucose intake – sugar and starch. Make sure to eat a variety of natural animal and vegetable products. Reduce cortisol. More than any other measurement, cortisol is a predictor of cancer. A solid spiritual discipline like meditation significantly reduces cortisol. Cortisol reduction is very important. Sleep well. Cellular repair occurs during sleep. Cellular damage causes cancer. The Right Exercise. Exercise fights cancer in several ways. Increasing the level of HDL and the percentage of HDL2b is associated with a significant reduction in cancer. Likewise, exercise improves mitochondrial function, which decreases cellular stress. Finally, exercise signals higher levels of hormonal growth and repair activities both systemically and locally. There is scant evidence that hunter-gatherers get cancer. This is in spite of parasitic loads well in excess of our own. Do you have any special recommendations for leukemia CLL? Does your book provide info on leukemia?